A real gem of a job, with a brilliant range of products. 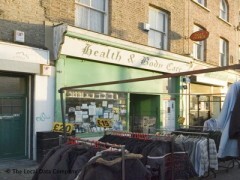 Run by a man who has been in the area for over 40 years and has, along with great chat about a by-gone era of east London experiences, has extensive knowledge to offer any medical needs. My favourite shop in the area, which I hope stays put.